Europe's elite collide in September when the Champions League group stage returns and 32 teams commence their journey towards continental supremacy. Real Madrid made history last season by becoming the first team to win back-to-back Champions League titles and Zinedine Zidane's men have their eye on a hat-trick. However, Los Blancos will not have an easy run at glory, with the likes of Bayern Munich, Paris Saint-Germain and Barcelona set to challenge, while Chelsea and Manchester United have returned to the stage after a brief hiatus. With clubs and supporters eagerly anticipating the new campaign, Goal brings you all you need to know about the Champions League group stage draw. The draw for the 2017-18 Champions League group stage takes place at 18:00 CEST (17:00 BST / 12:00 ET) on Thursday, August 24. Unlike the draws for previous rounds, which were held in Nyon, Switzerland, the group stage draw will be held at the Grimaldi Forum in Monaco. As well as deciding the make-up of the groups, the occasion will also see the presentation of a number of awards, including the UEFA Men's Player of the Year and Women's Player of the Year. The best goalkeeper, defender, midfielder and forward from last season's competition will also have their performances recognised at the ceremony. The youth teams of the 32 Champions League group stage participants also take part in the UEFA Youth League. However, unlike the Champions League, the Youth League features a total of 64 teams, with the youth domestic champions of the top 32 leagues also entering. Red Bull Salzburg won the 2016-17 Youth League, defeating Benfica in the final. WHAT TEAMS ARE IN THE DRAW? The group stage of the Champions League comprises 32 teams, with 22 teams automatically entering before being joined by the 10 winners of the play-off round. Teams are subsequently divided into four pots of eight, with each group containing one team from each pot. The reigning champions, as well as the winners of the Europa League, automatically qualify for the group stage. Pot One contains the holders and the league winners of the top seven associations, based on UEFA country coefficient. Since Real Madrid won the Champions League and La Liga last season in 2016-17, the champions of the eighth best association in 2016 take their place in Pot One. On this occasion, it is Shakhtar Donetsk of Ukraine. Pots Two, Three and Four are then populated by the remaining 24 teams and their seeding is dependent on their UEFA club coefficient. When does the group stage kick off? The first games of the 2017-18 Champions League group stage take place on September 12 and 13, and the final matches will be played on December 5 and 6. All games tend to kick-off at 20:45 CEST/CET (19:45 BST/GMT) with occasional exceptions depending on geography. WHICH TEAMS WON IN THE PLAY-OFF ROUND? In the 'League Route', Jurgen Klopp's Liverpool moved past Hoffenheim with a 6-3 aggregate victory to advance to the group stage. Napoli took down Ligue 1 upstarts Nice with ease, while Sevilla squeezed past Istanbul Basaksehir. Russian giants CSKA Moscow ousted Young Boys. Of the teams that qualified from the 'Champions Route', Scottish champions and one-time European Cup winners Celtic are the most recognisable, with Greek giants Olympiacos and Cypriot outfit APOEL also making the group stage. Qarabag got by Copenhagen via the away goals rule, while Hapoel Be'er Sheva fell to Maribor and will head to the Europa League. CAN I WATCH THE GROUP STAGE DRAW? Yes, the draw will be available to watch on a number of platforms, including television and via online stream. In the United Kingdom, viewers can watch live from 16:30 BST on BT Sport 2 and it can also be followed using the BT Sport App or at btsport.com. In the United States, live coverage of the draw commences at 12:00 ET on the Fox Sports channels FS1 and FS2. UEFA will also be providing live coverage of their event through an online stream at UEFA.com. The great and good of European football will begin filtering into the draw hall from 17:00 CEST (16:00 BST) ahead of the beginning of the ceremony at 18:00 CEST (17:00 BST). As mentioned, a number of awards will also be presented and many of the players who have been nominated are expected to be in attendance. Nominees include Cristiano Ronaldo and Lionel Messi (Men's Player of the Year and Forward of the Year), Gianluigi Buffon (Men's Player of the Year and Goalkeeper of the Year) and Sergio Ramos (Defender of the Year). 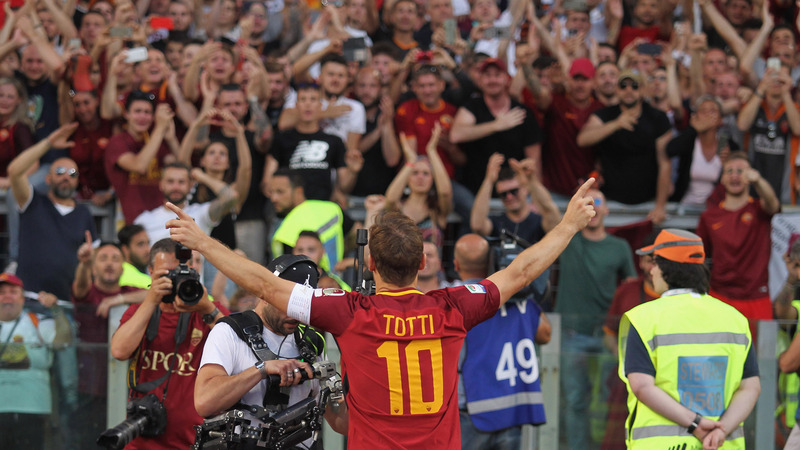 Francesco Totti will also be honoured with the UEFA President's Award in recognition of his outstanding playing career, so you can expect the Roma star to have made the trip. Andriy Shevchenko will be there, too, in an ambassadorial role as the final of this season's Champions League will be played at the Olympic Stadium in Kiev.